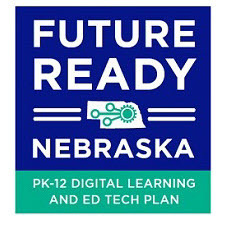 The Future Ready Nebraska Council has just released Nebraska’s first ever Statewide Digital Learning and Ed Tech Plan. Come learn more about the plan and how you can be a part of the Future Ready Nebraska Librarians work group. There is much work to be done in the next 3 years. You will learn more about the work that Nebraska Librarians can advise and participate in as we move Nebraska forward in the Future Ready work. This work will help make Librarians across the state a great resource for their districts in preparing their schools to be Future Ready. Presenter: Dorann Avey, Digital Learning Director, Nebraska Department of Education.